Hello Everyone! How’s everyone doing on this lovely tuesday? Today we will make a follow up article regarding RewardsToken project. 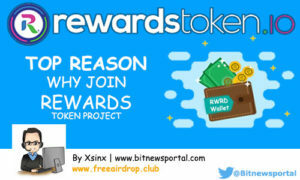 For this day we will feature the top reason why you should join Rewards Token Project, But remember this is not a investment advice and i will only state facts and figures that is freely available in the internet if you do some research about the project. 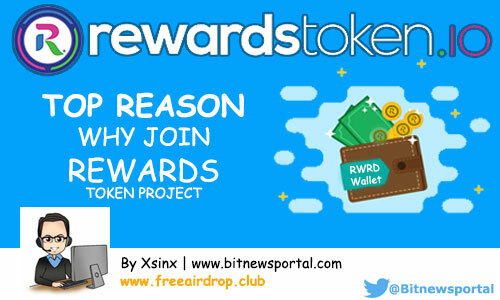 Top Reason why join Rewards Token Project. Establish US Company – Rewards.com is a US Based cashback and rebates company that deals with millions of online shoppers and thousands of merchants like Macy’s, Kohl’s, Sears, Walmart, Target, Best Buy, Nordstrom, Groupon, Living Social, Hotels.com and many more. Real Transparent Team – Rewards.com team members are 100% transparent and real people unlike other ICO’s Project that hide behind a black & white circle crop images. Establish Strong Userbase – For any company to succeed they need a strong userbase that will serve as a community behind the project. Active Team Members – Rewards.com team are active in communicating with their community, A unique traits and rare in this industry. If you want to talk to the CEO of the company visit their telegram channel and you can mingle and socialize with the top guy on the office. Rewards.com is not a pump and dump project that promise out of this world products that has no real life usage. keep in mind that by joining the rewards.com token sale is not a get-quick rich scheme and only invest money that you can afford to lose. That’s all about Rewards Token Project Review and i hope you find this useful in understanding the basic overview of the project. 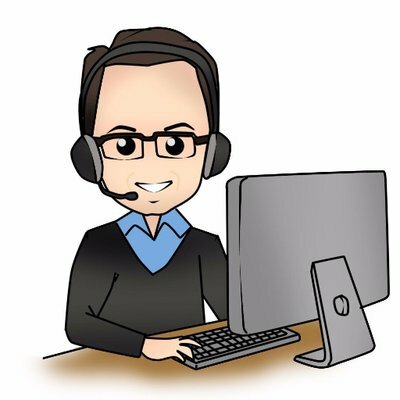 If you are looking for technical answer for your technical question please visit their telegram channel and rewards token staff are always available to handle all community question.